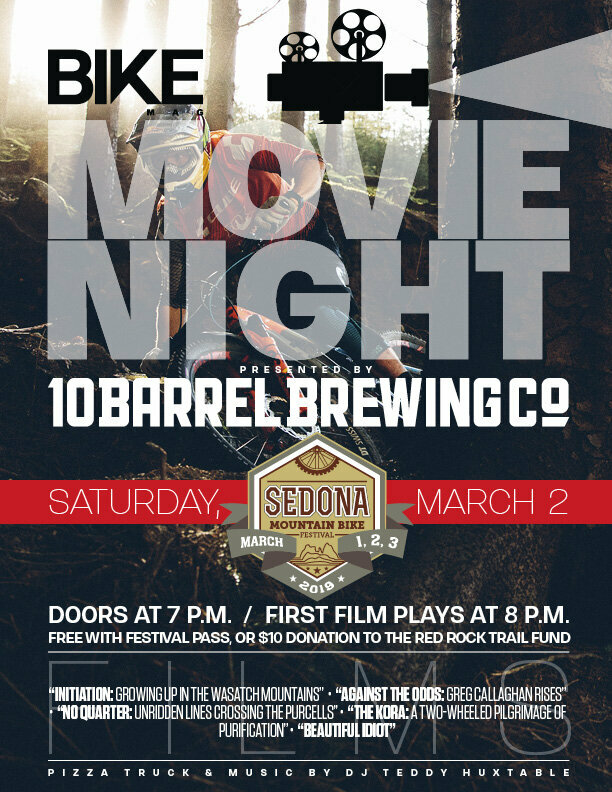 FREE with your festival pass, or a $10 at the door donation to the Red Rock Trail Fund. Freedom is a tangible thing for most kids when they get out of school for summer, and there’s no better place to feel free than the mountains. After putting away his books for the year, 11-year-old Weston Lloyd and his dad Steve planned a five-day bike packing trip to explore their backyard in Utah’s Wasatch mountains and immerse themselves in some serious father and son time. By sharing his knowledge of the mountains he loves, Steve opened up doors for Weston to explore new places and grow into a strong young man. This kind of Initiation might be heavy for most kids this age, but Westons’ determination to carry his own weight and become his own man is truly inspiring. A film by Steve Lloyd. Ireland’s Greg Callaghan rides with the support of an entire country while rising the ranks of the Enduro World Series, as an unlikely but very real contender in the highly competitive series. Bike’s video editor Satchel Cronk spent time with Callaghan on his home trails near Wicklow, Ireland, earlier this year, tracing how the lines of his past have guided his pro-race career. A film by Max Berkowitz and Kevin Landry: A hardy crew of adventurers bikepacks into British Columbia’s Purcell mountains with the promise of big-mountain freeride lines and endless wilderness. High in the Himalayan hinterlands of southwest China, three majestic mountains soar above sprawling floodplains that spill into the country’s sweltering lowlands. Over the centuries, various Dalai Lamas have ordained these towering peaks as sacred, and the Tibetan people who inhabit this isolated region revere them as granite gods. A pilgrimage around the base of these 19,000-foot-high giants is considered a holy undertaking, and those lucky enough to finish this arduous circuit—known as the ‘Yading Kora’—hope the effort will purify a lifetime of negative karma. Inspired by this time-honored rite of passage, three adventurers set out to complete this kora on mountain bikes, carrying everything they need to survive the 10-day mission themselves. Beautiful Idiot takes you on a ride through the mindset and motivations of those who feel driven to pursue greatness, how it can feel to fall short, and the consequences of reaching a lofty goal when the struggle to get there has defined you for so long. Featuring professional freerider/slopestyle champion Brett Rheeder.